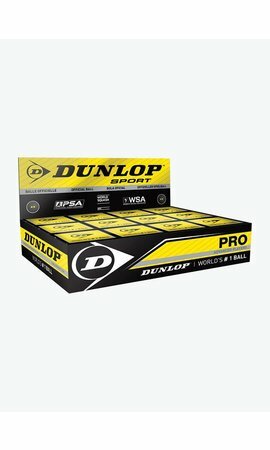 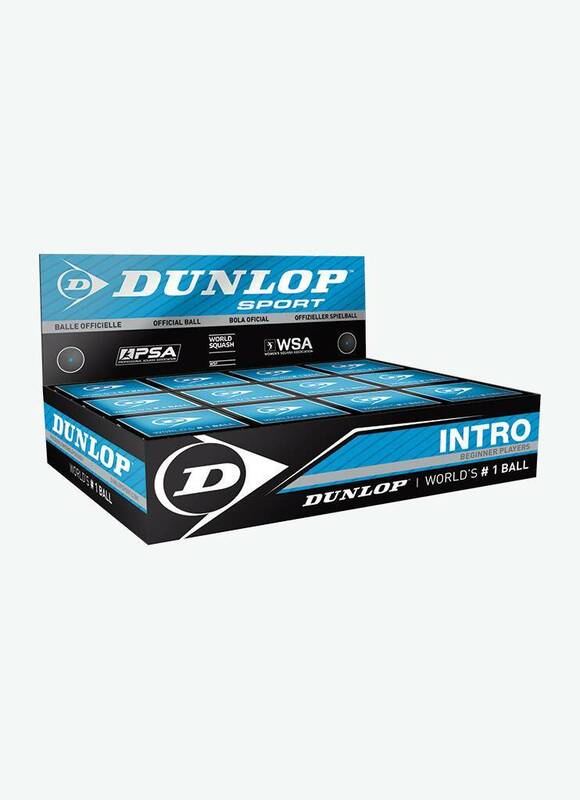 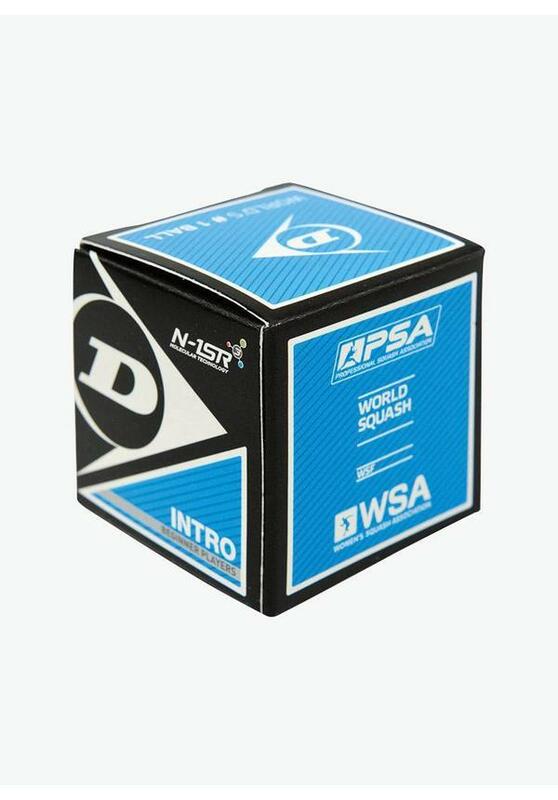 The Dunlop Intro Squash Ball is also available in a box of 12 balls and every ball is individually packed in a square cardboard box. 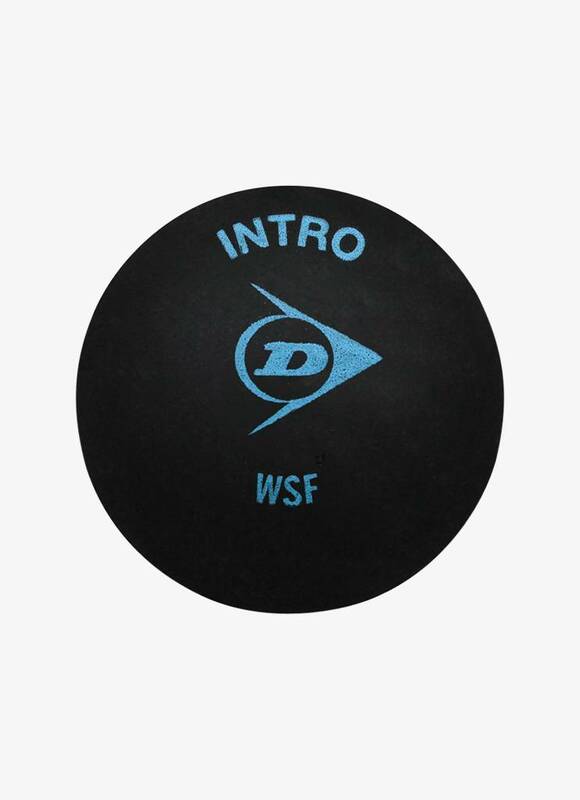 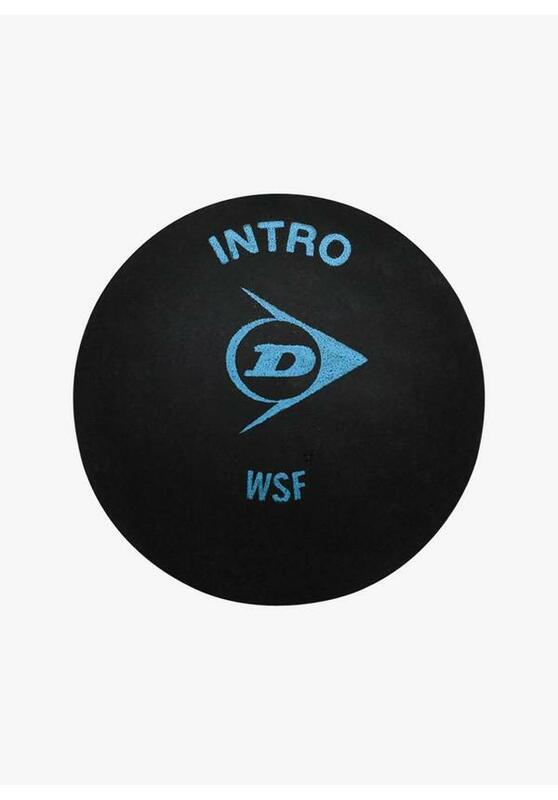 The Dunlop Intro Squash Ball, recognizable by the blue dot, is designed for beginners and juniors because this ball bounces better and does not need to be warmed. 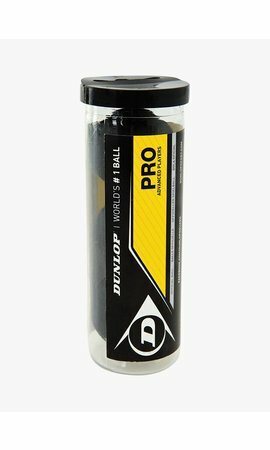 The Dunlop Intro Squash Ball is 12% bigger and has 40% more bounce than the official match ball (the Dunlop Pro Squash Ball).